About "All Silver Tea Cups"
is the way to remember ASTC formula in trigonometry. 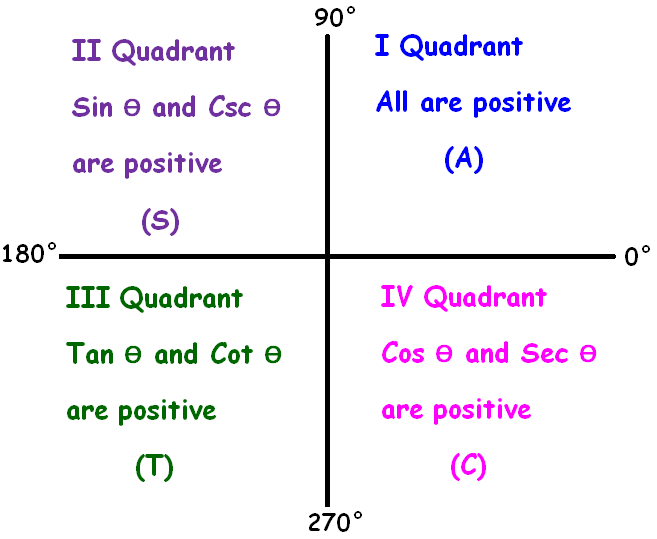 ASTC formula helps us to evaluate different trigonometric ratios in different quadrants. 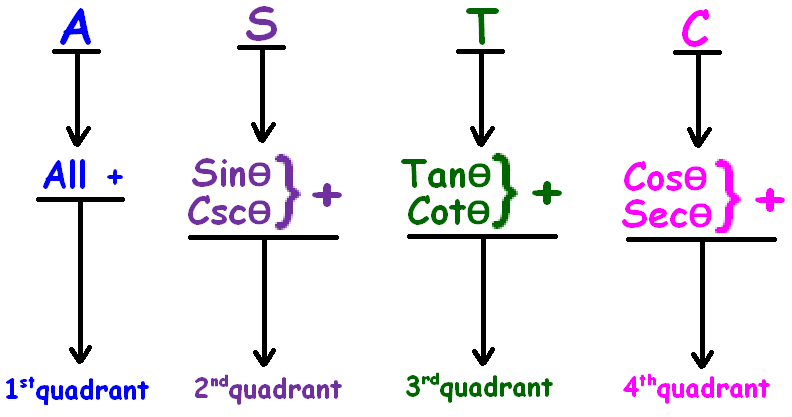 "All Students take calculus" rule or ASTC formula has been explained clearly in the figure given below. Let us look at the next problem on "All silver tea cups"
Apart from "All silver tea cups" rule, if you need any other stuff in math, please use our google custom search here.